The Holding House is pleased to present “Calculating with Absence,” Simone DeSousa’s solo exhibition featuring new paintings on multiform panels. DeSousa’s abstract paintings emerge from the artist’s ongoing interest in the investigations of the nature of reality, combining disparate references such as ancient yoga and modern science’s study of the phenomenon of consciousness. 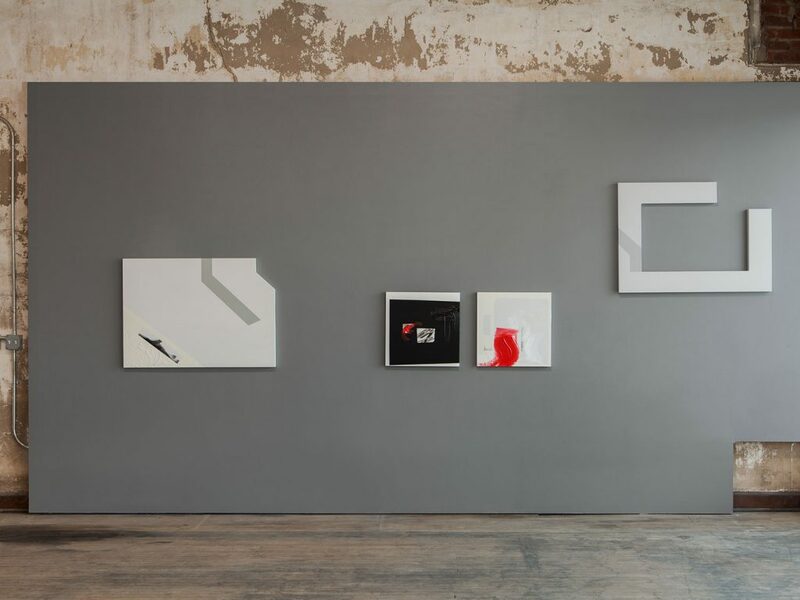 In deliberate visual juxtapositions that oscillate between minimal gestures and intricate compositions, the works point to the inseparability of the seemingly opposite alternating stages of emptiness and manifestation. The bases of the works, integral to the compositions themselves, defy the limitations of the edge and expose the base material itself, suggesting relationships both inward and outward-moving. Examining the interplays amongst shapes, colors, lines, and textures, superposed and intersecting, one moment at a time, DeSousa’s paintings suggests different spatial environments that are both directly human and transcendent.